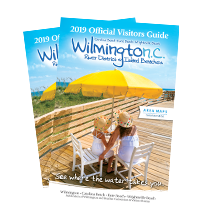 Get a prime seat at an outdoor amphitheater concert or “toast the coast” during a celebrated Wilmington riverfront sunset, and kick off a vacation full of entertainment and nightlife options. Grab a drink with an incomparable river view from a downtown rooftop bar. Cozy up at wine bars or taste something original from craft breweries. Have a nightcap at a French bistro sofa bar or a laid-back speakeasy. Visit America’s oldest pool room for an evening of billiards. Live music can be heard year-round at island tiki bars, on the grounds of an antebellum historic home or at riverfront summer concerts. The variety of indoor and outdoor venues on or near the water is endless, and so are the good times… any day of the week. Check out our calendar of events for a list of live music, concerts, and entertainment hot spots.